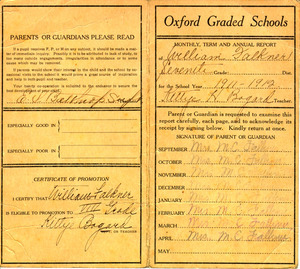 Faulkner’s report card from the Oxford Graded Schools for the academic year 1911-12. According to Joseph Blotner’s Faulkner: A Biography, one of William Faulkner’s classmates remembered him as "the laziest boy I ever saw. He was generally almost inert. ...he would do nothing but write and draw—drawings for his stories. He couldn’t help it. I don’t think he could have kept from writing. It was an obsession." 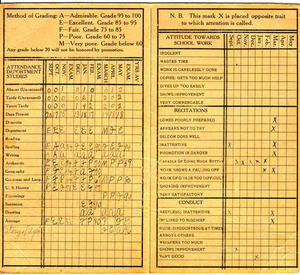 This obsession is clearly reflected on his report card with "Admirable" ratings in Writing and Drawing. Arithmetic and "Grammar and Language" did not fare as well. 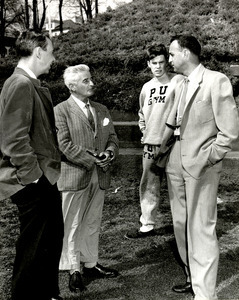 Faulkner himself said, "I never did like school and I stopped going to school as soon as I got big enough to play hooky and not be caught at it." "...that April morning when you woke up and you would think how April was the best, the very best time of all not to have to go to school, until you would think Except in the fall with the weather brisk and not-cold at the same time and the trees all yellow and red and you could go hunting all day long; and then you would think Except in the winter with Christmas holidays over and now nothing to look forward to until summer; and you would think how no time is the best time to not have to go to school and so school is a good thing after all because without it there wouldn’t be any holidays or vacations." 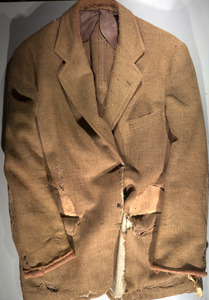 This jacket was discarded by Faulkner on his last visit to Charlottesville shortly before his death in 1962. An accomplished horseman, Faulkner rode with the Farmington Hunt Club while living in Charlottesville. 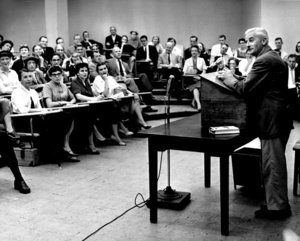 Faulkner was Writer-In-Residence at the University of Virginia during the late 1950s and a lecturer and consultant until his death in July, 1962. 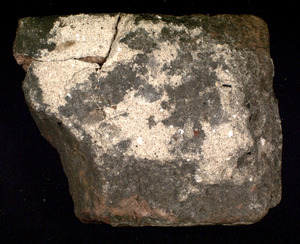 This brick was a part of the U. S. Post Office substation on the campus of the University of Mississippi where William Faulkner served as postmaster from 1921-1924. He was said to have been fired from the position for neglect of official duties on charges that included throwing mail in the garbage can, allowing card playing in the post office, and writing a book during working hours. Alas, this provocative myth was disproved several years ago by Joan Crane, former Curator of American Literature in this Library. She identified three copies of the letter dismissing Faulkner from his position, and established that the account of the firing was a joke by Faulkner’s friends. This Dunhill pipe and pipe cleaners are said to have belonged to William Faulkner. 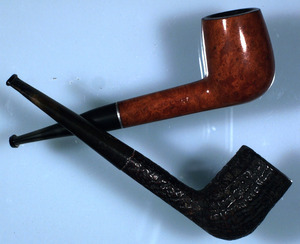 The pipe is one of several that were removed from Faulkner’s home after his death by his stepson, Malcolm Franklin. Franklin wrote in his book Bitterweeds: Life with William Faulkner at Rowan Oak that pipe cleaners were the only Christmas presents that Faulkner would accept from his family. Faulkner’s gifts "consisted of little bundles of pipe cleaners, some in assorted colors, others snow-white. There were all kinds of pipe cleaners in various bundles clinging precariously to the branches of the tree, each with its little tag. There was one package of Dill pipe cleaners, which Faulkner liked particulary...If he received any other gift he would carefully take it to his office and there it would remain unopened." 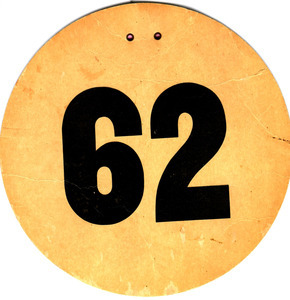 Numbered judge’s badge worn by William Faulkner to officiate at a track meet between the University of Virginia and the College of William and Mary, pre-1962.